I ordered a reg./rec from Ricks Motorsport because mine failed. Ive never even looked at the thing and its so cold in NY I havent looked under the side cover to see where it is. But I did look at the manual. It seems the OEM set up (correct me if Im wrong) is a separate rectifier and separate regulator. I bought a regulator/rectifier combo from ricks. How the heck do I wire this thing if this is s solid unit and OEM are two separate units? Im just learning this stuff. It is impossible to successfully order parts without knowing exactly which parts you need. SWest wrote: Pics would help. its pretty simple and Im not sure why pics are necessary. 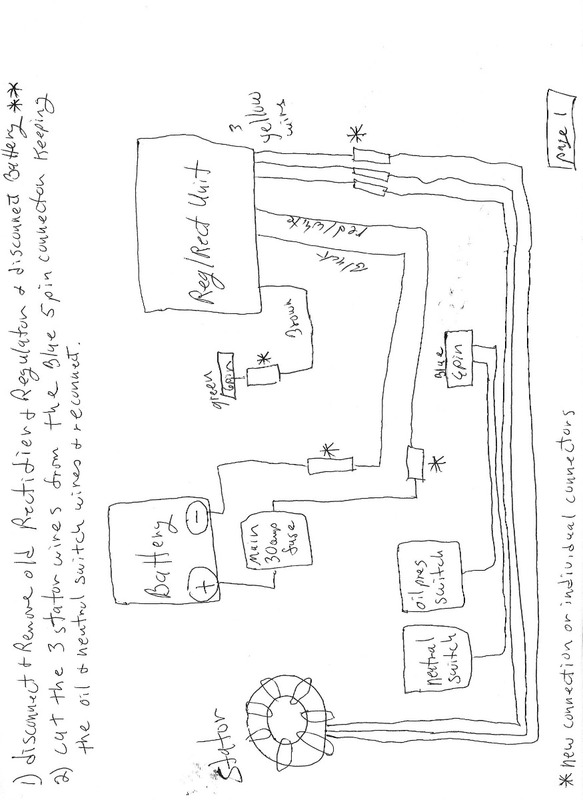 The original setup was a separate regulator and a separate rectifier, at least thats what the original manual shows. Im not sure whats on the bike now. its 30 something degrees out and I have a wife and multiple kids. Cant run to the garage and take pics at nearly midnight. It COULD have the same reg/rec pictured below, and then again it may be OEM separate as the manual states. 650ed wrote: It is impossible to successfully order parts without knowing exactly which parts you need. When I researched I looked at OEM used reg/recs on ebay for my model bike. They looked the same as the new OEM style reg/rec combo on Ricks so I bought it. If its not right or whatever, I guess I will have to return it, but its advertised as a direct OEM fit for my year bike. Pics of your current system can help us to tell what kind you have. SWest wrote: Pics of your current system can help us to tell what kind you have. Right. Only thing is, when I take that cover off, if the regulator looks the same, its plug and play and I will be done in 10 min and wont need further advice. 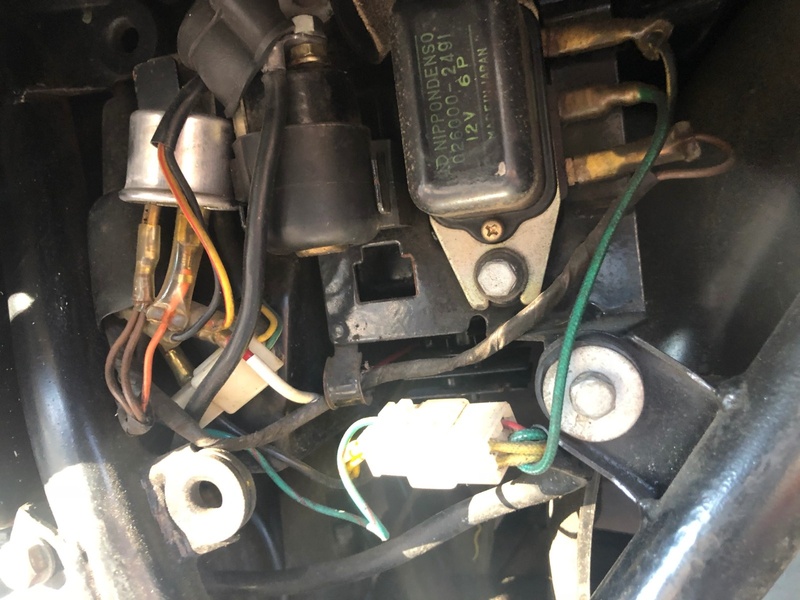 What I was looking for is advice on how to wire if it IS in fact a SEPARATE rectifier and SEPARATE regulator thats on the bike now. 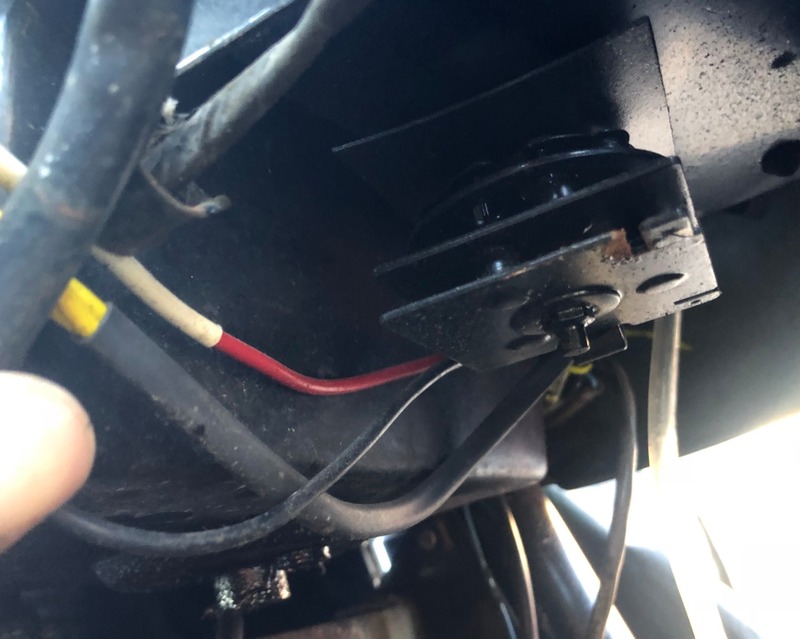 Or to clarify, I was looking for how to wire the OEM style I got from Ricks, which is a combined Rec/Reg unit if the ORIGINAL unit is two separate things. If it's a single phase system it might not work or it could be as simple as this. If you have a B2, then you shoul have Numbers 4 and 32 in the diagram. If you have a B1, then it should have 13 and 4. Either way, they are separate. Check to see how many yellow wires there are coming from the alternator & also check if there's a green wire from the alternator. Report back. martin_csr wrote: Check to see how many yellow wires there are coming from the alternator & also check if there's a green wire from the alternator. Report back. This is my setup. the thing that LOOKS like a rectifier, well, I have NEVER seen anything like it in my life. Ihas the yellow wires going to the stator, and a red wire pin connection, but its TINY. As you can see, there is a voltage regulator as well. This is what matters on your Kz650 ... these three screws. 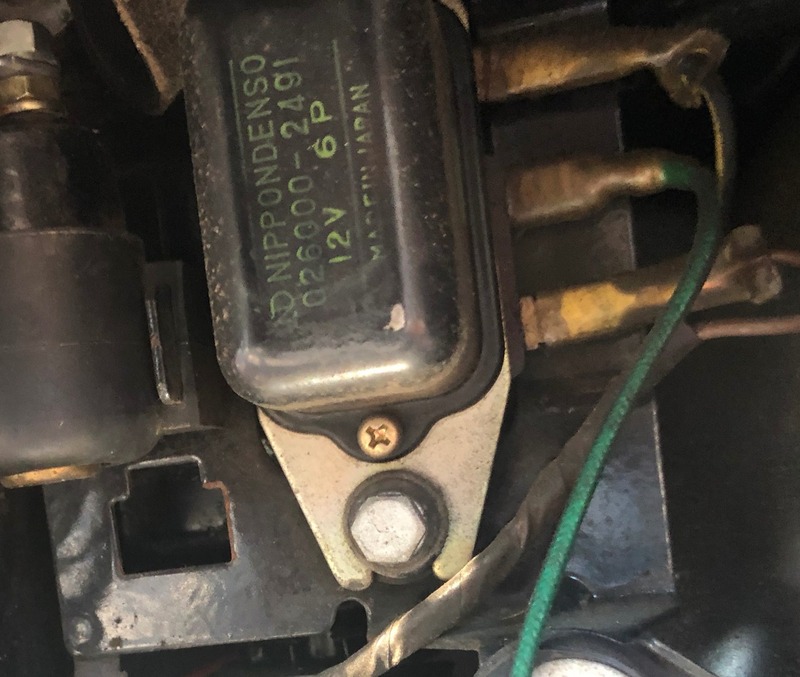 Those screws mean it's a 1977 model and you have an excited-field type alternator. This means your bike is different from all other years of Kz650. The downside is that you can't use regulators from other years. The upside is that you have the best of all of the charging systems when it is in working order. You need a very rudimentary rectifier, any off-the-shelf 50 amp 3-phase rectifier from ebay should work, but you also need a special regulator. You can buy them separately if you want, or you can get combo units which are really just the two pieces packaged together. OregonMotorcycleParts.com makes a reg/rec combo for your bike and they have proven to be a good source for reg/recs. Heres a link to what you need. You want model "VRREM7-KZ". That is how all old rectifiers used to look. They are typically selenium rectifiers within the cooling fins. Even industrial rectifiers looked like that (which is probably what Japanese bike manufacturers originally used). You can find rectifiers like that in a lot of old Japanese electronics from the 60's and early 70's. loudhvx wrote: This is what matters on your Kz650. These three screws. Those screws mean you have an excited-field type alternator. Thanks for this info. Its good to know I have the best charging system of the lot. That was valuable info you passed along. Notice it only has two yellow wires. The green wire makes it likely for Honda applications. Yes, your regulator has a green wire. That green wire is very different from the green wire on the reg/rec you purchased. Honda uses that green wire as a ground. 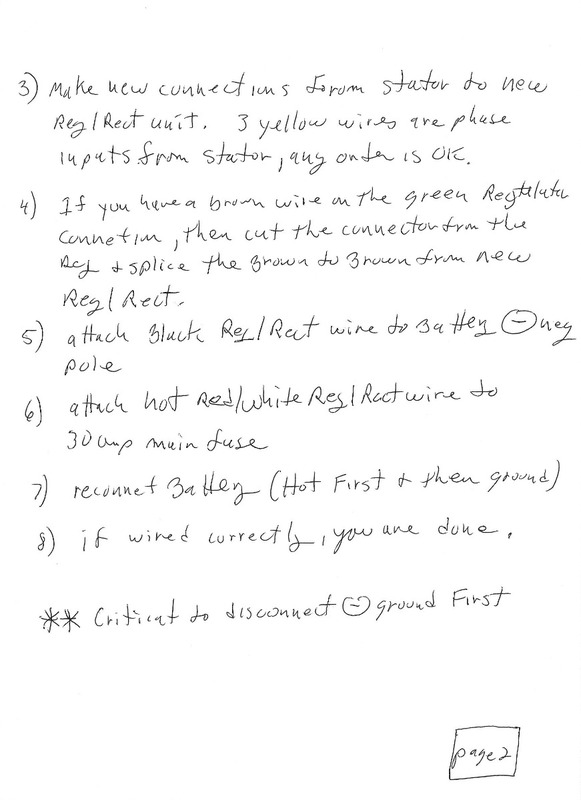 Your bike uses the green wire as a regulated positive-power for the field coil. When you say "no" I dont know which post your referring to because you didnt "quote" the post. So, I will assume youre saying the reg/rec combo I have WILL NOT make the voltage regulator obsolete. In that case, then I may ALSO have to buy a VOLTAGE regulator to replace the old one right? Correct me if Im wrong. I was answering the "very specific question" you had. But I edited my post to elaborate. Return it if you can. If not, you may be able to sell it to someone with a 78 or 79 Kz650. 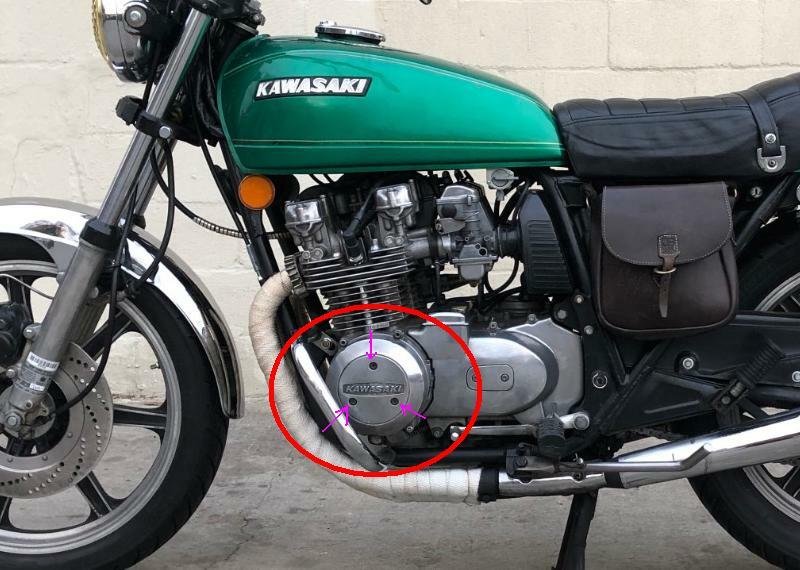 You may want to read up on excited-field type alternators as implemented by Kawasaki because I see you also have a 77 Kz750 twin. It uses a fully electronic version similar to your 650, but the difference is that your 650 uses a mechanical regulator. It is essentially a car-type alternator, but it doesn't use brushes or slip rings which often fail on car alternators. Kawasaki's system is quite ingenious, but also quite expensive, which is probably why they eventually got rid of it. Some hondas use a similar system, but their field-coils fail miserably (I know you may have some Hondas sitting around in the garage). There are many pages on Kzrider that elaborate the differences and similarities between your two charging systems. Hopefully they have not been deleted. loudhvx wrote: I was answering the "very specific question" you had. But I edited my post to elaborate. I had a very detailed conversation with a tech at Ricks before ordering this. Its advertised on their page as fitting Kawas specifically. I will give them a call and let you know what they say, based on your info. Also, I am able to return it. I added some info on my last post. Ed, based on his other topic, I assume his regulator may be getting long-in-the-tooth if not outright damaged by water etc. And I wouldn't trust any tech lines, unless they are answered by the owner or main engineer of the company. That is likely the case at OregonMotorcycleParts.